ILVE Appliances has added a new copper trim finish option for its free-standing ranges, providing a total of four trim options for the Majestic and Nostalgie appliance lines. The Majestic series is available in both single and double oven configurations in five standard sizes: 60, 48, 40, 36, and 30-inch. 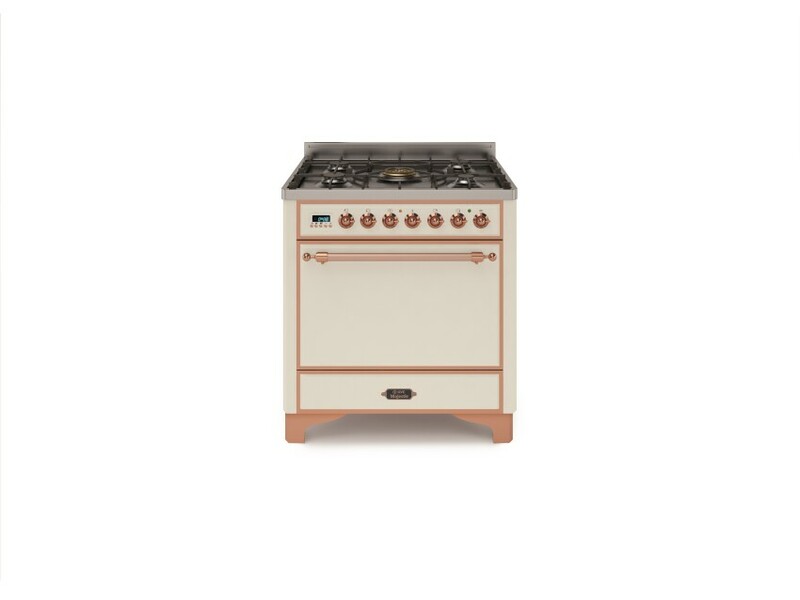 All sizes are dual fuel, with all-gas options available for the 30 and 36-inch ranges only. Over 220 colors are available, as well as three leg options and two door options.